Beautiful two bedroom, two bath, second floor, end unit condo in Summer Green. The condo features golf course views as well as water views and is in pristine move in condition. The kitchen has been updated and features manufactured quartz counters, new lighting and has space for an eating area. You have a large combination living room and dining area. Private screened lanai to enjoy the views. The master bath has a new shower stall. The condo interior has been recently painted and the carpets cleaned. There is a large separate laundry room. The AC system is approximately four years old. There is a one car garage also included. Summer Green offers two community pools, tennis courts and has beautifully landscaped grounds. 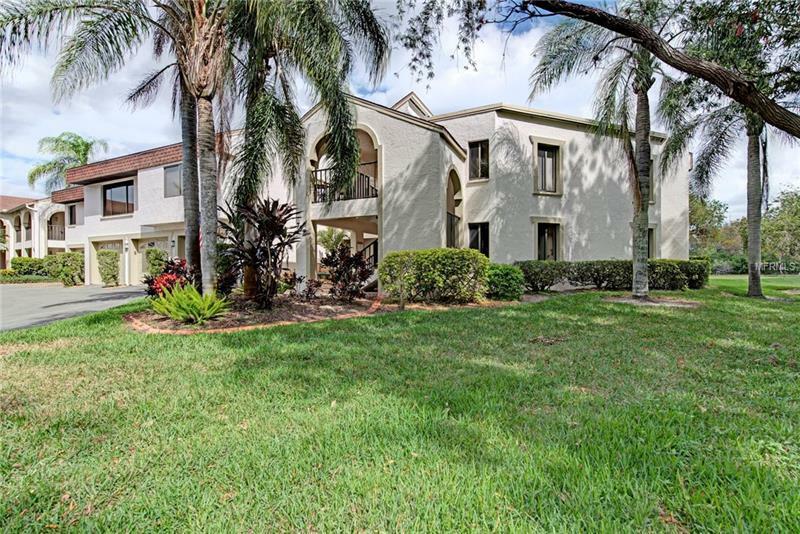 You are on the Capri Isles Golf Club second hole and the clubhouse is right across the street. This is a great central location within a few miles to beautiful downtown Venice and the Gulf of Mexico. Come see this great buy today!